Uncork, Unwind, and Support the Orlando Science Center! Saturday, April 28, 2018 7:00 – 10:00 P.M. Engage Your Mind & Palate! 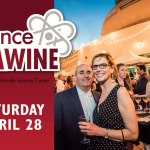 $100 Members | $110 Early Bird | $125 General Admission Sip, savor, and get your science on at the 8th annual Science of Wine at the Orlando Science Center! Presented by Southern Glazer’s Wine and Spirits, the Science of Wine, hosted by culinary experts, mixes the opportunity to sample over 150 fine wines from all over the world with the chance to learn about the science behind wine growing and tasting. Not only will guests enjoy fine wines from the world’s most famous wine regions (Tuscany, Napa, Bordeaux), but patrons will also enjoy decadent pairings of local cuisine from over 30 of Central Florida’s finest restaurants that support the Orlando Science Center! Purchase “early bird” tickets by April 2nd and save $15.00 per ticket to Saturday April 28th’s Grand Tasting, where patrons will enjoy a wonderful evening of wining, dining, live entertainment, and a silent auction. Special wine seminar and cooking demo tickets can be purchased for an additional $20.00 per person. Tickets are limited so reserve your spot today! Guests must be 21+ to attend. Science of Wine ticket proceeds directly benefit the Orlando Science Center and help support STEM education and accessibility. For more information visit: www.osc.org/wine. To learn how to become a sponsor or partner please email wine@osc.org. Celebrate St. Patrick’s Day At Disney Springs’ Ragland Road! 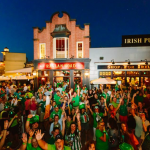 If you’re looking for something spectacular to do tonight for St. Patrick’s Day which includes the Irish traditions of great music, dark beer, and delicious hearty traditional Irish food then head on over to Disney Springs’ Ragland Road Irish Pub And Restaurant for their Mighty St. Patrick’s Day Celebration, already in full swing! Their weekend long festivities began yesterday, Friday March 16th, and will carry on through the night until late tomorrow night. If you’re into live Irish music and Irish step dancing, this weekend is your chance to partake in some incredible entertainment highlighting some of Ireland’s best and brightest. Check out their Pub & Patio Stage line-up of award-winning musical talent: The line-up includes Celtic rock’s the Young Dubliners, well-known U2 tribute band Elevation, a brilliant Irish family band The Maguires, and The Byrne Brothers, featuring Dempsey (8), Finn (11), Luca (13), and their father Tommy. Also playing all the way from the southwest corner of Ireland, are Reel Republic. These highly acclaimed Irish bands will be joined by Ragland’s house bands, The Raglan Roots Coalition and Out the Gap. For a steppin’ good time, the Ragland Road Irish Dancers will get the crowd riled up throughout the weekend and will be teaching patrons some traditional Irish dance moves so wear your green dancing shoes! Don’t forget to bring the kiddos as Ragland’s family-friendly festivities also include complimentary face painting which the little ones will love! Tip: If you’re looking for green beer you won’t find it here! 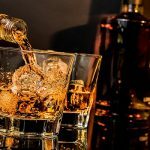 Ragland will be featuring an impressive authentic selection of beer, craft cocktails, and spirits, along with Irish pub food and more up-scale elegant Irish dishes. The full menu will be available tonight and tomorrow, including brunch. Today, St. Patty’s Day March 17th, guests are being seated on a first-come, first-served basis with a cover charge of $10 for each guest age 18 and older. Reservations can be booked for Sunday, including brunch, by calling 407-938-0300. Now grab your green and get headed to Ragland Road’s Mighty St. Patrick’s Day Celebration! *All images taken from Ragland Road’s Facebook page. Looking For A Fun Private Corporate Event Idea? Are you a corporate boss looking for a unique and memorable way to promote team building or reward your hard-working employees? Or are you a small business owner looking for alternatives to the annual Christmas party? We’ve got you covered! Orlando Food Tours offers fully customizable private food tours for corporate groups of 9 or more. 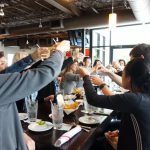 You and your staff will enjoy a fun-filled VIP team building experience noshing on local hand-selected foods and sipping adult beverages at 6 different unique tasting stops. 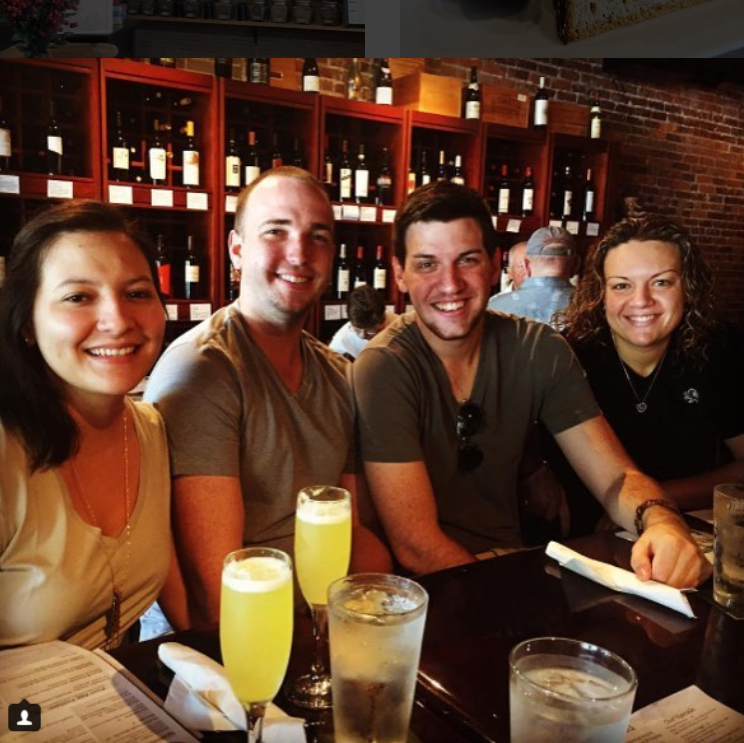 Our professionally trained local tour guides will also teach your group a little about the local history and culture of the historic Park Ave in Winter Park, Florida. We offer special discounted rates for corporate groups of 9 or more – $40 per ticket, saving your organization $7 on every team member. Unlike our normally scheduled Winter Park Walking Tour, we offer private group tours any day of the week, so we can work around your company’s busy schedule. Private tour perks include everything offered on our regular tours, along with the extra goodies of discounted ticket rates, customized experience and personal touches, flexibility in scheduling, only your group on the tour, and a few other additional surprises along the way. Our private corporate tours are fun and affordable with plenty of tasty food for everyone. Ready to book? If you’re looking to plan a one-of-a-kind corporate event or celebration, we want to hear from you! Contact us here or call 800-656-0713 to reserve your spot today! The Nighttime Lights at Hogwarts Castle Debuts January 31st, 2018! As a self-proclaimed Gryffindor Harry Potter nerd (sorted by one of the actual Sorting Hats featured in the films via the Harry Potter Museum Warner Brothers Hollywood), I am excited to see that Universal Orlando is turning their “The Magic of Christmas at Hogwarts Castle” at The Wizarding World of Harry Potter into a new projection mapping experience called “The Nighttime Lights at Hogwarts Castle.” The new show features a dazzling display of lights and special effects, and is set to music based on the original scores from the Harry Potter films. The show will celebrate the spirit and pride of the Hogwarts Houses by wrapping Hogwarts Castle in each house’s unique color concept (Gryffindor, Slytherin, Ravenclaw & Hufflepuff) as night falls on the island. “The Nighttime Lights at Hogwarts Castle” will debut Wednesday, Jan. 31st at The Wizarding World of Harry Potter – Hogsmeade, and will run Feb. 5th, and Feb. 7th – Feb. 12th with previews during “A Celebration of Harry Potter” Jan. 26th-28th. Additional dates will be announced later and an exclusive preview event will be available on Friday January 26th for “A Celebration of Harry Potter” package holders. 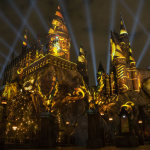 “The Magic of Christmas at Hogwarts Castle,” which depicted various Christmas memories inspired from the Harry Potter films, debuted last month to rave reviews and has also been featured at Universal Studios Hollywood. We’re happy to see that Universal Orlando is keeping the concept alive for a bit longer (hopefully, for good!). Oh, and if you have extra time to spare at the parks – try eating your way through The Wizarding World of Harry Potter!